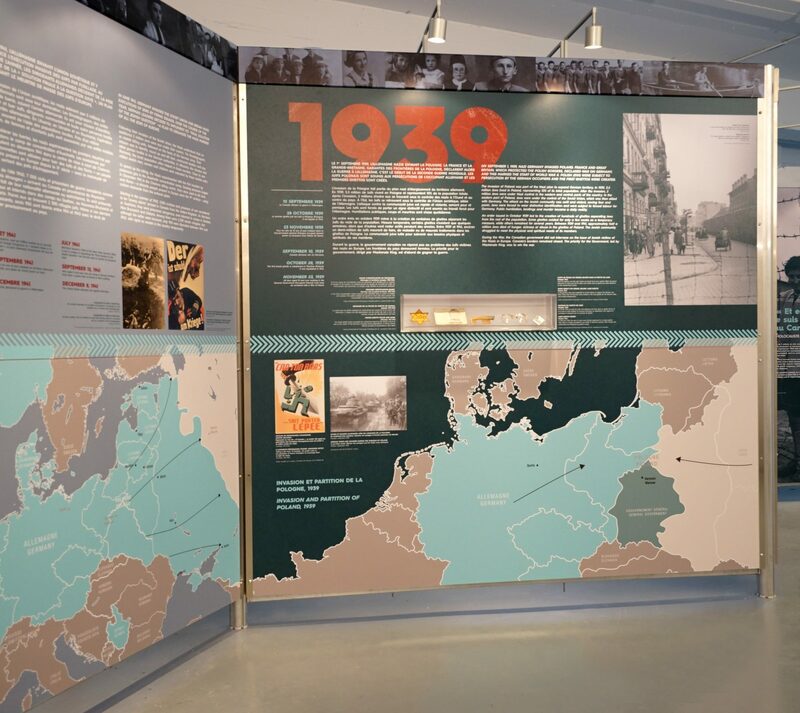 The travelling exhibition, “And in 1948, I came to Canada”: The Holocaust in Six Dates raises awareness about the genocide of the Jews by presenting its history and reflecting on the impacts of racism and discrimination in our society. It commemorates the victims of the Holocaust and honours the survivors who made Canada their new home. 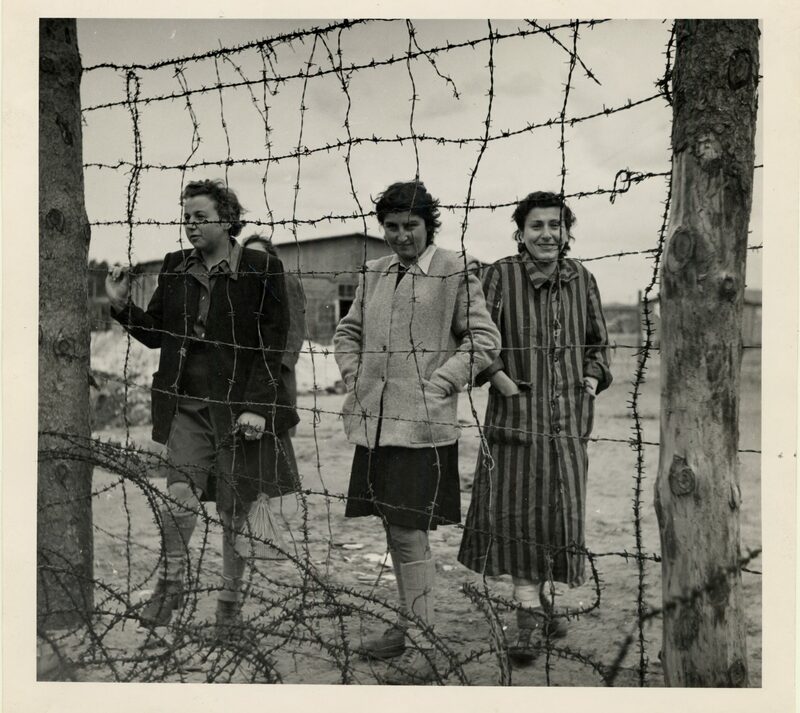 Three women standing behind a barbed wire fence at the Bergen-Belsen concentration camp after liberation. Germany, 1945. 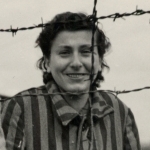 The exhibition looks at the history of the Holocaust and the Second World War through six key dates, as well as Canada’s reaction to these events. It raises questions about Canada’s involvement in the conflict, revealing the government’s inaction towards Jewish refugees. 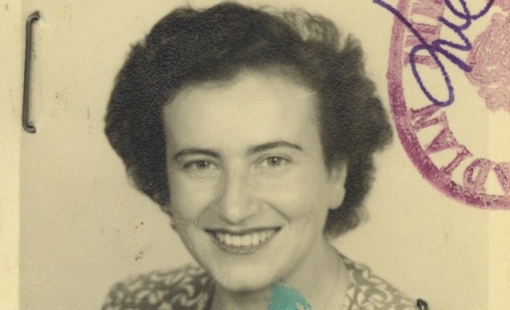 The exhibition also explores survivors’ immigration and settlement in the post-war years. The exhibition includes the presentation of 10 original artefacts, and 30 minutes of survivor textimonies. 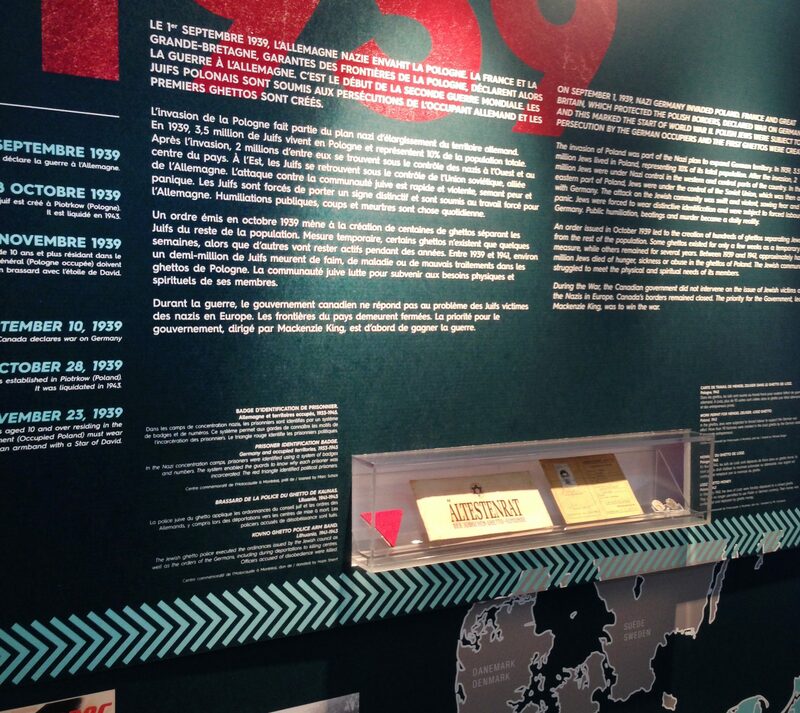 This “all-in-one” travelling exhibition uses the MuseoGeo system. It is freestanding, with its own lighting system, touch screen and two display cases for the presentation of artefacts. 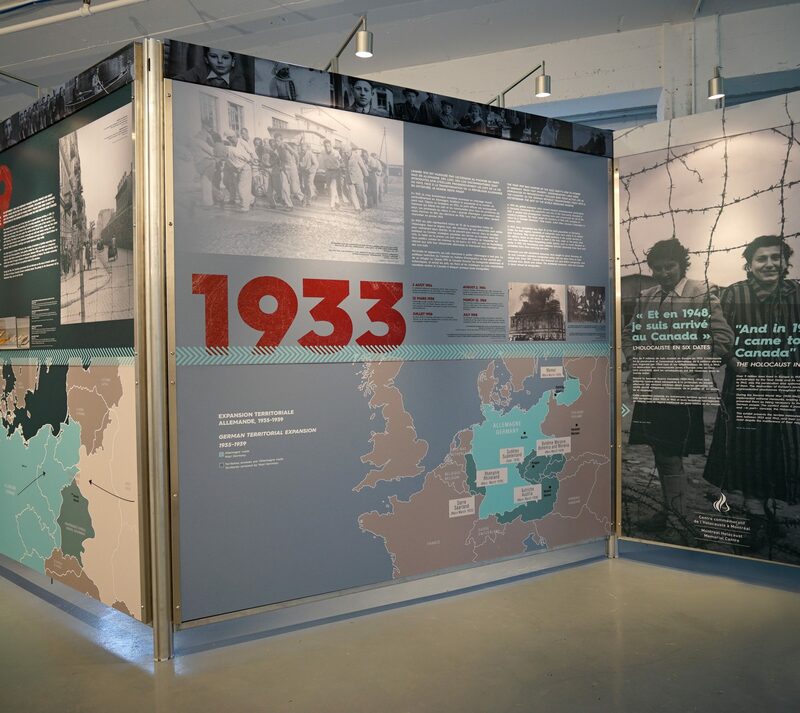 The Exhibit Guide “And in 1948, I came to Canada” – The Holocaust in six dates includes nine activities designed to accompany students before, during and after a visit. It should be noted that they are equally suitable for Grade 6 classes or for high school classes. 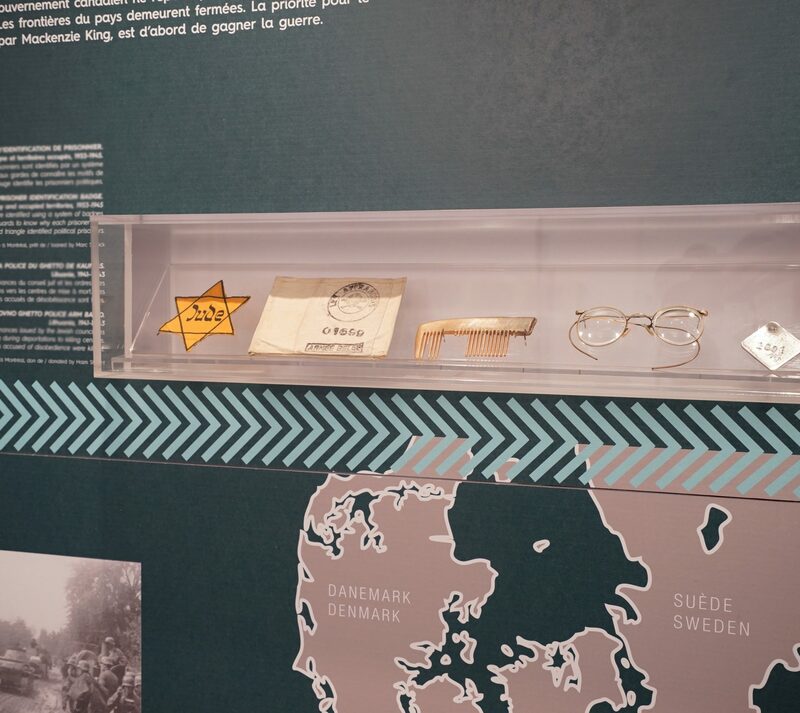 The activities offer students the opportunity to analyze artefacts as primary sources and encourage connections between the Holocaust, war, and Canada’s role. So when it came, the liberation, it was indescribable, our feeling. The commemoration guide was created to help the organisations hosting the exhibit with the organization of commemorations.